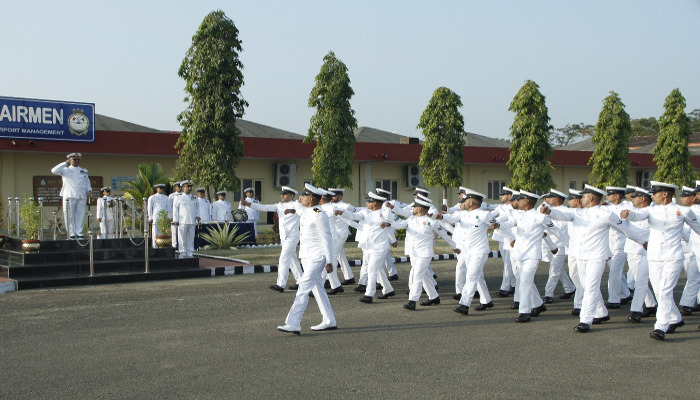 295 trainees from three courses passed out at a Passing Out Parade from School for Naval Airmen on 11 January 2019. 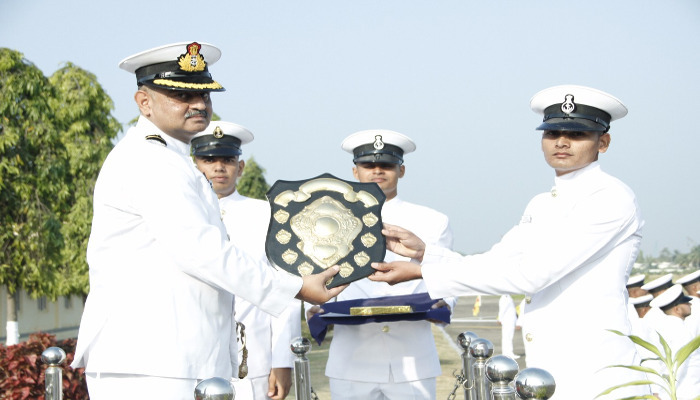 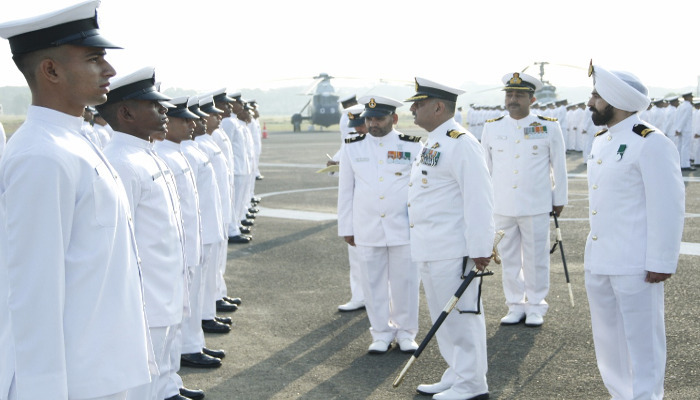 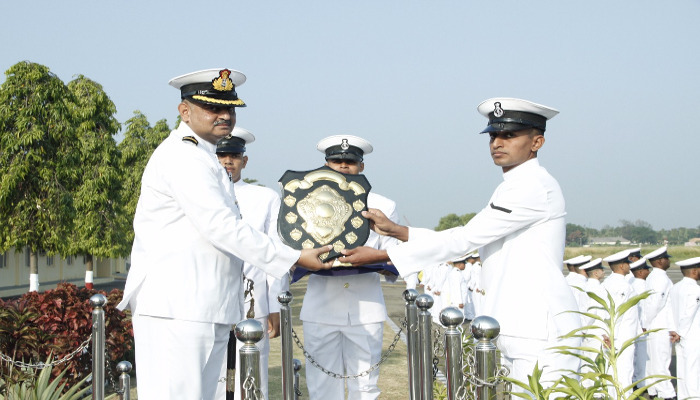 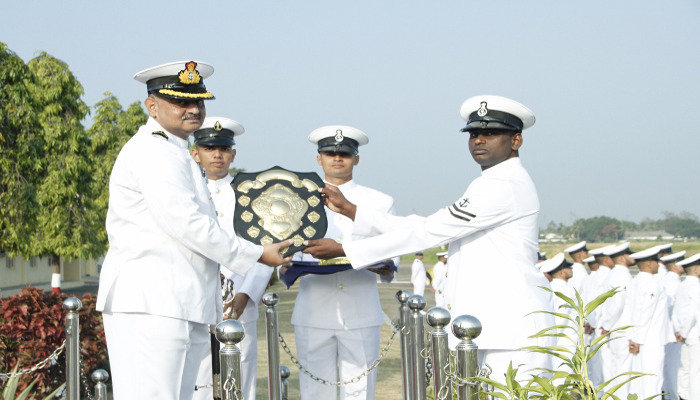 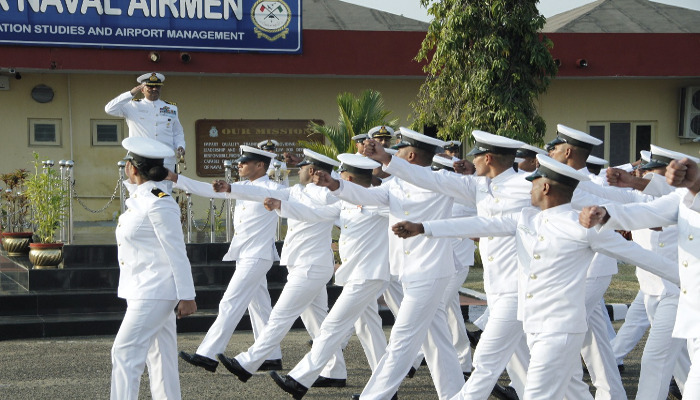 The courses comprised 71 trainees from the Indian Navy and Coast Guard from PO ‘Q’ (AH/S&S/PH) course of 10 weeks, 59 trainees from the IN and Coast Guard from LDG ‘Q’ (AH) course of 14 weeks and 157 trainees from the IN and Coast Guard including eight foreign trainees from Basic ‘Q’ (AH/S&S/PH) course of 12 weeks. 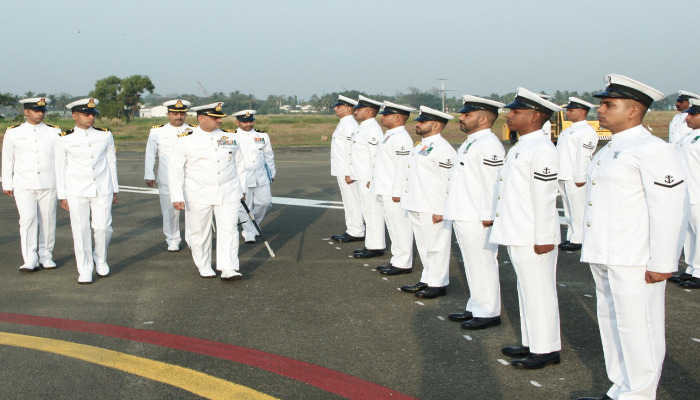 Of the eight foreign trainees, five were from Seychelles, two from Mauritius and one from Philippines. 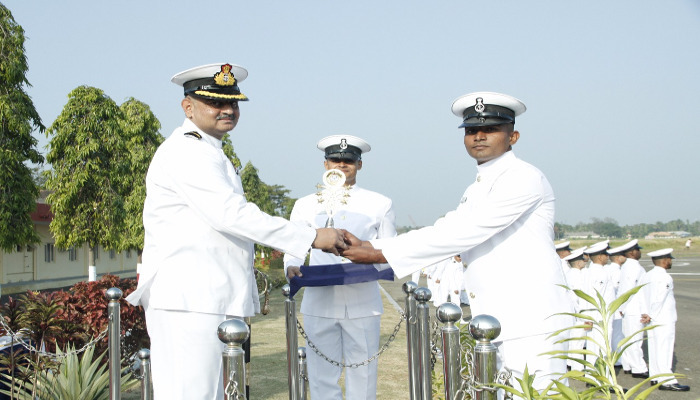 The event marked culmination of an intensive training programme that comprised both theoretical and practical training on various equipment. 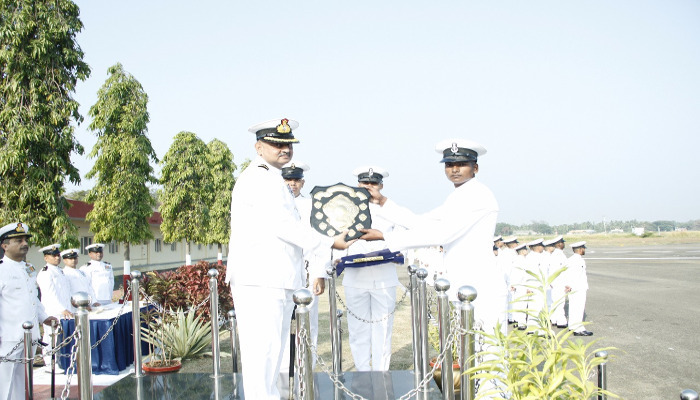 Nitesh Kumar, LA (AH) and Prajith KK, LA (AH), BC Rao LA (S&S) and Anup Kumar, LA (S&S), Anuj Kumar LA (PH) and Lalit Patwal, LA (PH) were adjudged first and second in PO ‘Q’ AH, S&S and PH courses respectively. 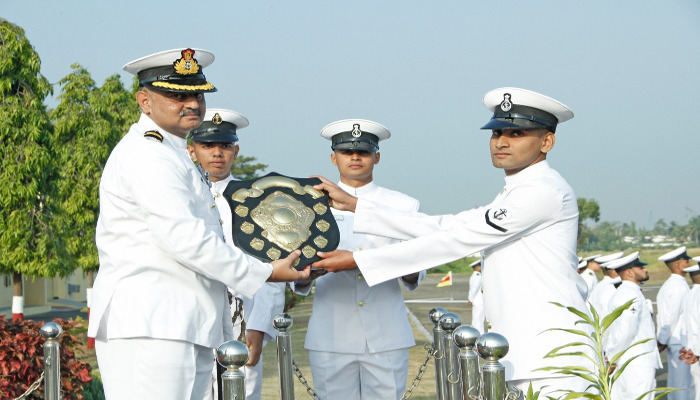 Anshul, NA I (AH) was adjudged first and Sandeep Chaudhary, NA I (AH) stood second in Leading ‘Q’ AH course. 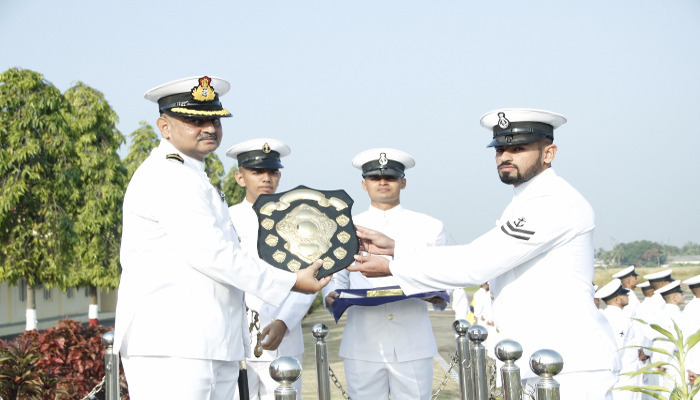 Amit Pandey, SSR (AH) and Parveen Kumar SSR (AH), Deepak Kumar, SSR (S&S) and Saurabh Chaudhary, SSR(S&S), Sajan Kumar SSR (PH) and Abhishek Kumar, SSR (PH) were adjudged first and second in Basic ‘Q’ AH, S&S and PH courses respectively.